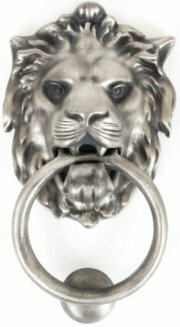 From The Anvil Lion's Head door knocker is highly detailed and beautifully styled in both traditional and contemporary finishes. It is a large and imposing door knocker which is easily fitted and comes complete with a matching strike plate and all necessary fixings. 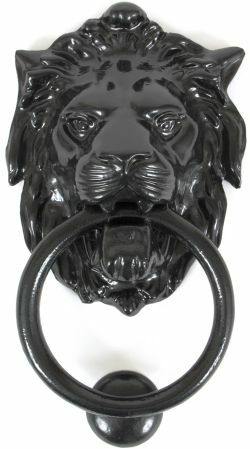 Lion head 170mm x 130mm, overall size 230mm. Available in Black, Antique Pewter, Unlacquered Brass finish.